Running back pain holding you back? This is very common for runners, but not to worry, here are some tips to help you get rid of it. Watch your posture while you run. Speed training. If you're like me you probably do your sprints so fast, you look like Pheobe in Friends when she tried race Rachel. That's ok for 20-30 second sprints, but when you're doing longer speed training intervals, you want to try not to run so fast that you loose your form. This will help you avoid injury and it's more effective. Running uphill. When I first started running, I would have a back-ache after every hilly race. Finally I learned to watch my posture when I was running up hill and not lean forward and it made a big differenc. You can find more tips on hill training here. Pushing a jogging stroller. It's easy to lean forward and lean a little on the stroller when pushing a jogging stroller. One thing I learned is really helpful, and allows me to run faster and more efficiently is to only hold the stroller with one hand at a time and switch hands every quarter - half a mile or so. 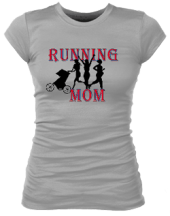 You can find some more tips on pushing a running stroller here. Engage your abs while you run. Holding your stomach in while you run will help you keep a better posture, strengthen your core and get in a better workout. 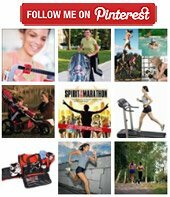 Pilates is a great workout for runners. It really helps strengthen your core and gives you better posture, both things that will help relieve back pain. This site about treating lower back pain has some very helpful tips on stretches to help treat back pain. There are also some exercises you can do to help strengthen your back so that you don't experience as much back pain when you are running. Here Sally, a Physiotherapist and Pilates instructor, gives examples of some exercises for back pain to help give you a stronger back and core, manage back pain and make you a stronger runner.